Are you facing an issue or is there something fishy? If yes, feel free to contact our customer service representative on Toll-Free Number 800 295 or send an email to customersupport@2xlme.com . 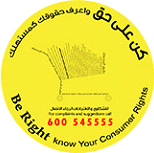 For further information on consumer rights, visit www.consumerrights.ae or call Ahlan (Dubai) on +971-600 545 555.